Wake up Menudo fans! - Puerto Rico is Music! If you were a Menudo fan in the 1980’s you will like this. 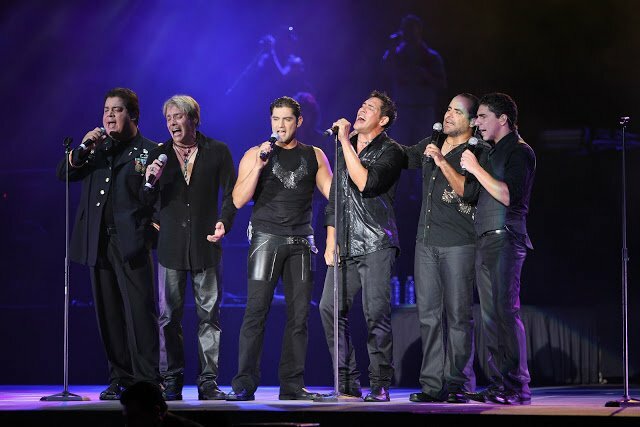 The former heartthrobs will be performing today in Mayaguez, at 10:30 p.m. The motive of the celebration is the anniversary of “Juegos Centro Americanos y del Caribe” that were held in 2010. The event is dedicated to the thousands of volunteres that made possible what Mayaguezanos claim are the best games in the history. They really didn’t specify in the history of what… But you know, my fellow country man are experts in finding excuses to celebrate with music. So let’s join Mayaguez in this celebration that will also have two excellent performers: Elvis Crespo (9:15 p.m.), and Lalo Rodríguez (8:00 p.m.). Really? For those of you that don’t know who the Menudos are, they were the Latin version of NSYNC, but to the stature of the Jackson Five. They sang in 5 languages and sold about 20 million albums across the world. Ricky Martin started his career in this band. But, who knows? Perhaps as part of the audience. These things happen in small islands. One minute you are having a hamburger somewhere, the next minute a famous artist is sitting next to you.